After last week’s startling discovery that Rilla had not yet made the acquaintance of Miss Rumphius (that she remembered, at least), I realized there were a number of unmissable picture books that she has, in fact, missed up to now. This is what happens when you’re the fifth child. 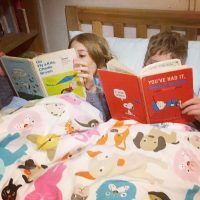 She listens in on the older kids’ read-alouds—The Hobbit, The Strictest School in the World, Tom Sawyer—and there has been a steady stream of newly published picture books in her world, thanks in large part to the review copies I often receive. But even for a reading family, there are only so many books you can cram into a day. Which is why Rilla made it almost to her fifth birthday without meeting Mr. and Mrs. Mallard and the Lupine Lady. I’ve been combing through the shelves in search of other must-reads, and there’s now a two-foot-high bookstack in front of the (never used) fireplace. Several of those appear in this week’s list of recent reads. 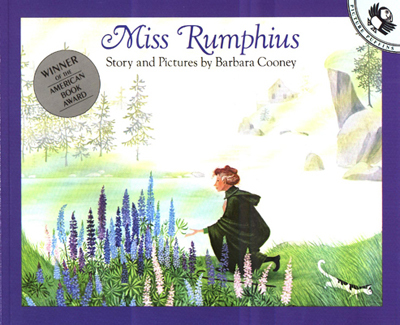 • Miss Rumphius by Barbara Cooney. Top of the list in every respect. “I’d like to add some beauty to life,” said Anne dreamily. “I don’t exactly want to make people KNOW more…though I know that IS the noblest ambition…but I’d love to make them have a pleasanter time because of me…to have some little joy or happy thought that would never have existed if I hadn’t been born.” That’s Anne Shirley, not Alice Rumphius, but they’re kindred spirits, aren’t they? • Make Way for Ducklings by Robert McCloskey. Okay, I’ve been reading this book aloud for fifteen years, and I’m still undecided. Ouack: “Oh-ack”? Or “Wack”? I usually opt for the latter, but that kind of throws off the whole alphabetical rhythm. Jack, Kack, Lack, Mack, Nack…Wack? • Koala Lou by Mem Fox, illustrated by Pamela Lofts. Honestly, I think my little ones care less about the plot of this book than they do the mama koala’s cooing refrain: “Koala Lou, I do love you.” Me, I’m crazy about the colored pencil drawings. 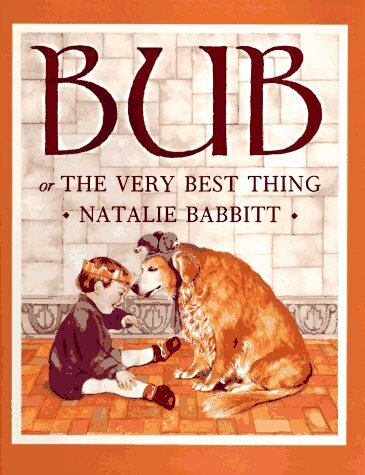 • Bub: Or the Very Best Thing by Natalie Babbitt. I pulled this one off the shelf for the aforementioned big stack of classics, but I knew I wouldn’t be reading it to Rilla myself. This one is reserved for the daddy of the family. It’s a special favorite of ours, and if I gave things stars, I would give it as many as I possibly could. An out-of-print gem. The king and queen want the “best thing” for their young prince, but what does that mean? 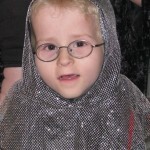 Their quest for the answer takes them all over the castle—but it seems the young prince has known the answer all along. 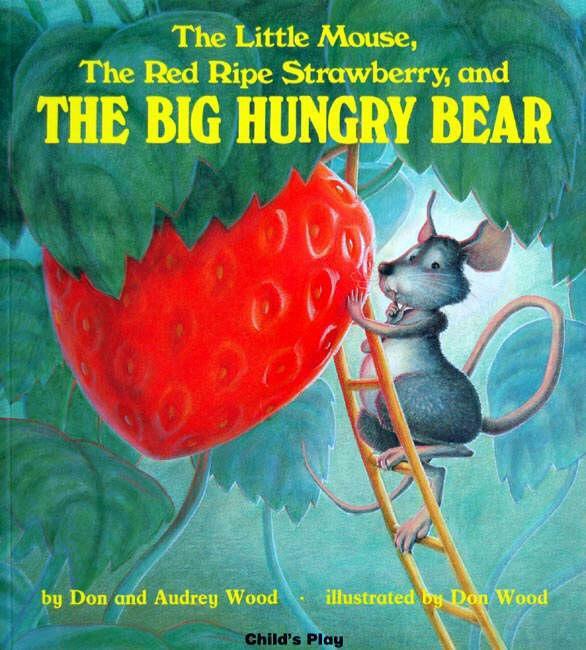 • The Little Mouse, the Red Ripe Strawberry, and the Big Hungry Bear by Don & Audrey Wood. This one’s a Huck magnet. Rilla’s frankly a bit suspicious: she’s pretty sure the narrator is putting one over on the little mouse. Didn’t stop her from asking for it six times in succession. 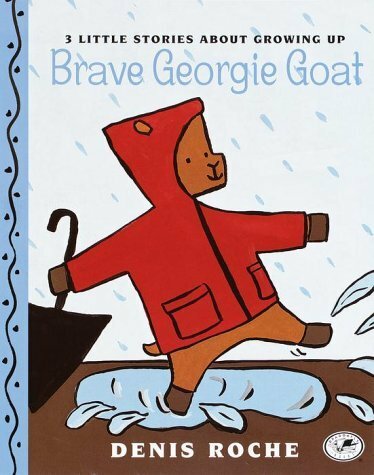 • Brave Georgie Goat by Denis Roche. When I open this book, it doesn’t matter which child is on my lap: I’m 27 again, and Jane’s a two-year-old in a hospital bed. Our dear friend Joan Slattery, a Knopf editor at the time, brought Jane this book on one of her visits to the cancer ward, and we both fell head over heels in love with it. Scott too, actually. It’s difficult to convey the sweet simplicity of these three short stories about matters of vital importance to very small goats and girls. If Mommy Goat goes, how can you be sure she’ll come back? What do you do when your best friend and constant companion, your beloved red coat, doesn’t fit you anymore? And what are all those ominous shapes and sounds in your room when the lights go out? The grownup goats in these brief tales (Mommy and Grandpa) are a gentle and steady source of comfort for a little kid who is beginning to take notice of a very big world. Your mention of come classic chapter books last week, inspired me to pull some must-reads off my shelf and start reading through them with my 4 year old, Lissa. I have to agree that Miss Rumphius tops my list of all time favorite picture books. I have yet to successfully get lupines to grow in my yard, but I haven’t give up on trying. My 4 year old’s favorite book seems to be Katy No-Pocket, which she asks for just about every time she gets my time and attention on the sofa. That’s one that I had as a child, so I gladly indulge her again and again. Oops . . . that’s “some” not “come” above there! Of the ones you list, we are devotees of Koala Lou (as of many Mem Fox books), Jesse Bear, and The Little Mouse, The Red Ripe Strawberry and the Big Hungry Bear. I read Bub to my older girls but toddler has not encountered it yet. 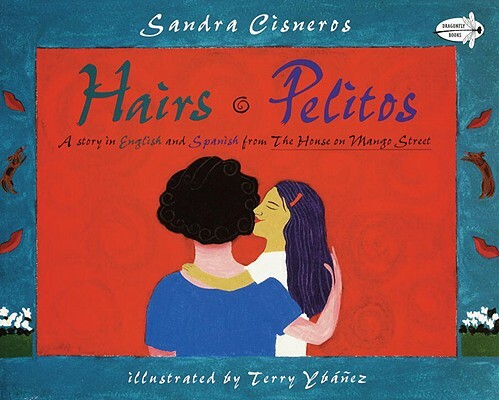 I must admit that I’ve not come across Hairs / Pelitos or Brave Georgie Goat, but will now definitely seek them out. Wack! I definitely vote for Wack. I have been reading that book (oops, typed “that back” — too many rhyming words and not enough coffee) since my teen was tiny too, and that’s my vote. I think the meter is more important than the alphabetization, since 5yos can’t alphabetize anyway. One vote for O-ack, here. My girls find it hilarious and they have each noticed, in turn, that the ducklings have alphabetical names. Great list – I must try to find a copy of Bub or The Very Best Thing. I just gave the books Miss Rumphius and Make Way for Ducklings (O-wack) as a baby shower gift (along with Blueberries for Sal and One Morning In Maine). Rilla will probably be losing her first tooth soon, so One Morning in Maine would be perfect. Another book that I am thrilled to see back in print is Andrew Henry’s Meadow by Doris Burn. Great for kids who like to build things! I could go on and on with picture books, but I will just mention one more: Roxaboxen. 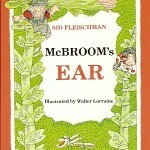 Illustrated by Barbara Cooney. My 12 yo son mentioned it just the other day as being one he really liked. Hello! Just spotted the Georgie Goat mention. And can you believe my girls and I *just* rediscovered it on our shelves last week, by coincidence? We hadn’t read it in over a year, and I just about melted. What a gem. xox Joan S.
Lovely to see you here! Kisses to the girls! It’s always good to have reminders like this! Some of these we have done, others have been missed, so I dutifully scribbled these titles and brought them home from the library this week. All big scores — but Koala Lou was really loved by the oldest. Definitely an oldest child book. I vote O-ack. And I give a hearty thumbs up to Bub. Can’t read that book to the end without tearing up. Ok! I’ve heard so many people recommend the book Miss Rumphius and I always thought, “Do I really need to bring yet ANOTHER picture book into my house? How many “nice stories” can I possible expect my house to hold?” But yours was the recommendation that tipped the balance. The book arrived today and I’m so glad that we got it for our home library! But I have an embarrassing question. How do you pronounce “Rumphius” and “Lupine”? I’ve always heard it “RUM-fee-us” (rum pronounced like the drink, not like room, nor even like room in Boston) 😉 and LOO-pin. So glad you’ve brought Miss Rumphius home! If I had to whittle down our collection to ten picture books, that’d be one I’d keep. All the Places to Love might win a spot. I need to think about this, though. I’ve always said it LOO-pine as in pine tree. But I’m probably a wrong-headed Texan. And I agree with Scott about All the Places to Love. Makes me cry every time. We had a sort of emergency when I realized that my middle daughter didn’t know who Madeline was! Now I have a basket of classic favorites set aside so that they do not get lost on the shelves, and I try to make a point to read one of them to the youngest set every day. Miss Rumphius is not in there, yet, but Dahlia by Barbara McClintock is a favorite. Miss Rumphius was my own favorite book, naturally, it was so unusual to be Alice that I felt deeply connected to her. Dahlia is definitely in my top ten picture books. We just got Miss Rumphius from the library and my girls love it. Funny that Bella’s first reaction was to exclaim how she recognized the pictures in the book as being the same as those hanging on her walls.